Mr. Nashville: COUNTRY MUSIC LEGEND JOHN ANDERSON CLOSES OUT 2015 IN ROLLING STONE'S "40 BEST COUNTRY ALBUMS OF 2015"
COUNTRY MUSIC LEGEND JOHN ANDERSON CLOSES OUT 2015 IN ROLLING STONE'S "40 BEST COUNTRY ALBUMS OF 2015"
NASHVILLE, Tenn. (December 23, 2015) – In his illustrious career, Country legend John Anderson has been honored with ACM and CMA awards, topped the charts multiple times and created a legacy that continues to grow. 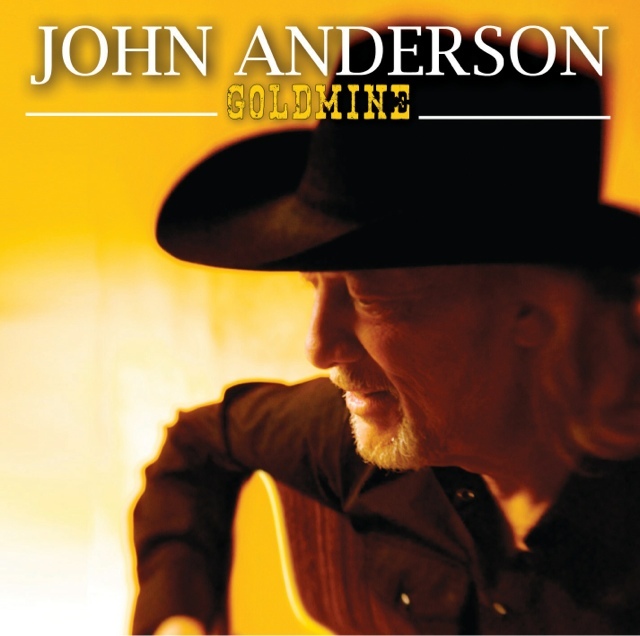 In the heels of the 40th Anniversary since releasing his debut single, Anderson shows no signs of slowing down with his latest album, Goldmine. The hit project was recently named one ofRolling Stone’s “40 Best Country Albums of 2015,” with Anderson also securing ink this year on Billboard.com, NASH Country Weekly, The Boot, Roughstock and many more. The latest radio single from Goldmine, “Don’t Forget to Thank the Lord,” continues its climb up the charts, with The Bootpremiering a special performance video. Watch as Anderson delivers a breathtaking performance of the inspirational tune. The performance is from the 21st Annual Inspirational Faith, Family & Country Awards, which took place in October in Nashville, Tennessee. As 2015 comes to a close, Anderson will set his sights on an even bigger 2016. The “Swingin’” singer will hit the ground running in the first quarter, bringing his traditional sound to audiences throughout North America.